In a world where many economies are suffering and where there is no shortage of gloom forecast, the International Monetary Fund (IMF) cut Nigeria a break when it applauded the ‘tight monetary policy stance” of the Central Bank of Nigeria as yielding positive results for the economy. The IMF endorsed the CBN’s restrictive monetary policy, saying it is appropriate for the Nigerian economy at this time. The fund stated this in their Article IV on Nigeria released on Wednesday. “With inflation still above the central bank target, Directors generally considered that a tight monetary policy stance is appropriate,” they stated. They urged the central bank to enhance transparency and communication and to improve the monetary policy framework, including using more of traditional methods. However, they advised the CBN to end its direct intervention in the economy and focus on its price stability mandate. The IMF’s endorsement must sound like vindication for the Governor of CBN, Godwin Emefiele and his team who have worked tirelessly to strengthen Nigeria’s financial system stability and support the growth of the economy. in February 2019 from 11.37. The decrease in headline inflation, according to experts, was driven mainly by food inflation, which declined to 13.47 per cent in February 2019 from 13.51 per cent in January 2019, while core inflation declined marginally to 9.80 per cent from 9.91 per cent in the previous month. Data from the National Bureau of Statistics (NBS) indicate that real Gross Domestic Product (GDP) grew by 2.38 per cent in Q4 2018 from 1.81 and 2.11 per cent in the previous quarter and corresponding period of 2017. The major impetus for this growth came from the non-oil sector, especially agriculture, which grew by 2.7 per cent in Q4 2018. The CBN under Emefiele has transformed the agriculture sector by making credit available and accessible to farmers and small scale Agric entrepreneurs. To encourage diversification of the economy and stimulate growth in the agriculture sector in line with President Muhammadu Buhari’s economic agenda, an innovative Agric credit plan was put in place. The Anchor Borrowers Programme has transformed the Agric sector and significantly increased yields. The bank’s intervention in the real sector and the foreign exchange market has led to further growth in the manufacturing sector, even if minimal. But it has undeniably encouraged inflow of investments into the country. CBN’s intervention and the effective implementation of the Economic Recovery and Growth Plan by the Federal Government are the major drivers of this positive development. Despite these achievements, the World Bank during the week surprised many when it released a report ranking the Nigeria economy low along with Angola, South Africa and 16 other countries. The report categorized Nigeria among economies that have not recorded improved performance since 1995. Of course, there are still critical challenges to growth which are also the upside risks to inflation, and they include, high cost of energy, infrastructure constraints, insecurity in some parts of the country; and anticipated increase in liquidity which has become more regular due to late implementation of annual budgets. Even though some of these challenges are outside the control of the CBN, the economic team of the Buhari administration and the CBN are in synergy on how to Surmont the obstacles. The role of the CBN has been critical to the economic push that exited the country from recession. Now that the economy is gradually recovering, it is at a delicate stage where consolidation is key. Emefiele recently warned after it last Monetary Policy Committee meeting that the economy was at risk of slipping back into recession unless certain measures are taken to stimulate growth. On what could be done to stimulate economic activities, the CBN governor said effective implementation of the budget and policies that would encourage credit delivery to the real sector of the economy might boost aggregate demand, stimulate economic activity and reduce unemployment in the country. 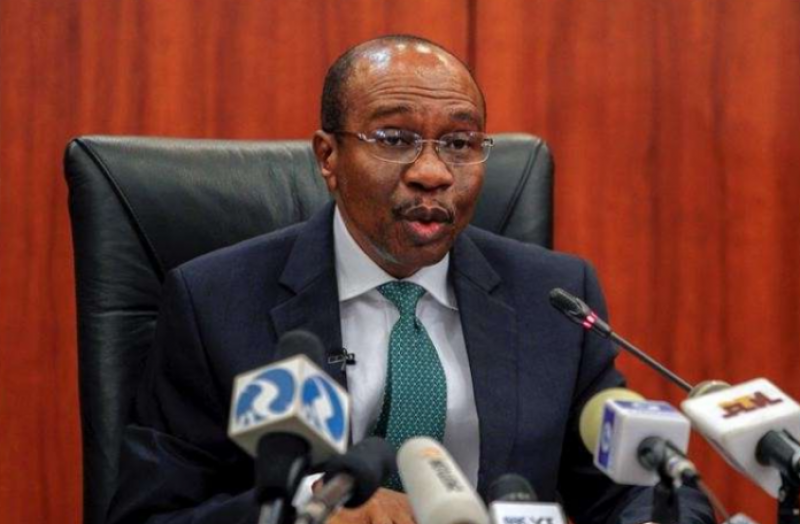 Emefiele said the MPC urged government to take advantage of the current rising trend in oil prices to rebuild fiscal buffers, strengthen government finances in the medium term and reverse the current trend of decline in output growth. The committee also called on the fiscal authority to intensify the implementation of the Economic Recovery and Growth Plan to stimulate economic activities, bridge the output gap and create employment. The CBN gives us hope that the Nigeria economy would be on a sustained rise, despite the hiccups. This is the meaning of IMF’s applause.